No offense to blouses, trousers, and coats, but accessories are often the most important part of your outfit. They have the ability to make or break your look—something Rodarte clearly understands. Presenting its spring 2017 collection during New York Fashion Week, the brand offered a simple yet genius styling trick with an underrated accessory: belts. The brand showed a slew of looks with two belts doubled up around the waist, and we're dying to re-create the cool combo. One of our favorite looks consisted of a frilly, printed purple dress juxtaposed with two studded black leather belts and ankle boots. Rodarte also showed a leather coat look and a blouse-and-trousers outfit with doubled-up belts, proving that you can try the trick with just about any outfit combo under the sun. 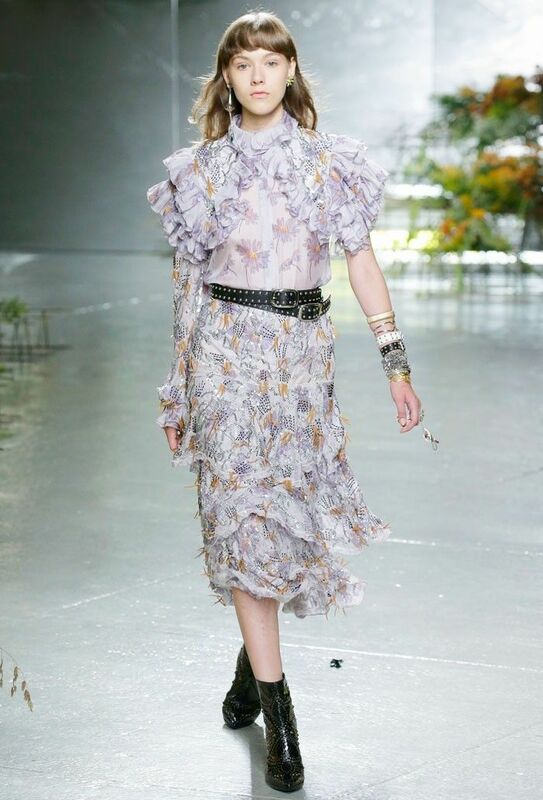 Scroll down to see how Rodarte styled looks with double belts around the waist! Would you try this styling trick? Tell us in the comments below, and then shop Rodarte online for yourself!